Sign Up for my exclusive Readers’ Club and get your FREE PDF book today! 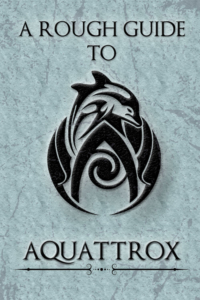 A Rough Guide to Aquattrox is an exclusive mini book PDF, specially created for fans of Aquattrox who want to know more. A Rough Guide to Aquattrox delves into the fictional sport from my exciting new Broken Lands series. As witnessed in Rise of the Reaper, Aquattrox is a thrilling, fast-paced aquatic sport that’s as violent as it is absorbing. Catch up on the game, the creatures, the history of the sport and, of course, the penalties in this exclusive guide. If you sign up to my exclusive Readers’ Club, then you can grab your free copy of A Rough Guide to Aquattrox today. All I need to know is where to send it!